Established in the year 1978 at Tirhut College of Agriculture, Dholi, was shifted to the present building at Pusa in 1981. Since its inception this Library has been on the path of progress in its programmes to cater the needs as well as to face the challenges of information explosion by the way of adopting recent technologies. 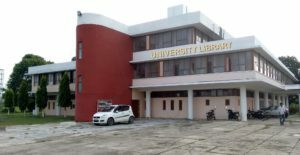 The University Library has been providing services to the students, teachers & researchers and supporting teaching, research and extension programmes of the University with a collection of over 70000 documents, a rich collection of current and back volumes of research journals including Advances and Annual Reviews and CD-ROM databases. The Library has set-up a Students’ Managed Reading Room for use by the students after library hours. The Library is well connected with INTERNET for access to the e-resources. These resources are IP Authenticated - can be accessed from the network of the university only.